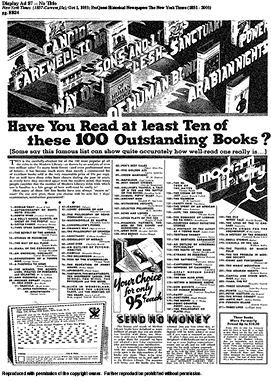 1933 - Note the National Recovery Act eagle logo at the bottom of the ad at the bottom left. 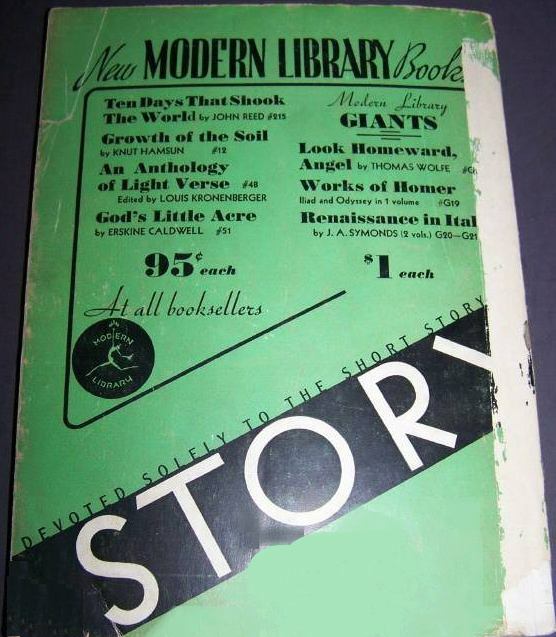 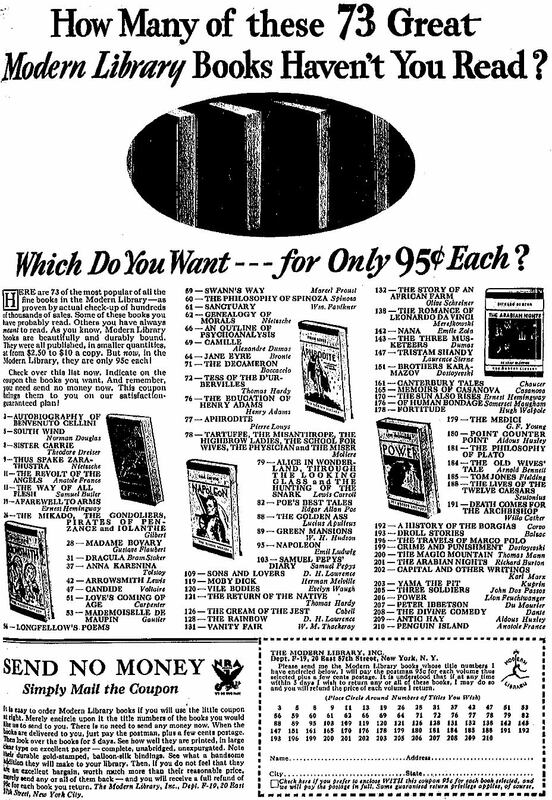 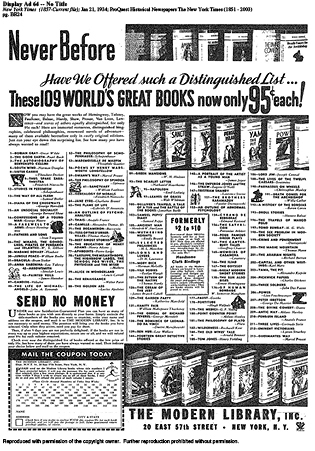 The ad on the bottom right is from the Scholastic, a magazine for high school students ("The National High School Weekly"); unlike other ads, in this one ML offers to pay the postage for any titles ordered perhaps in recognition of tight depression-era budgets, especially for families with kids. 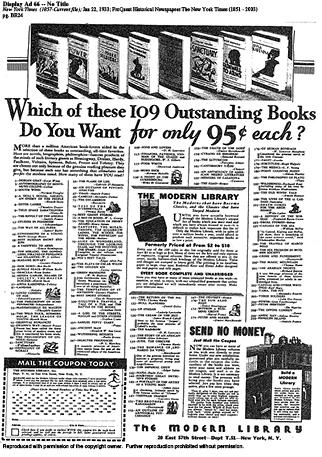 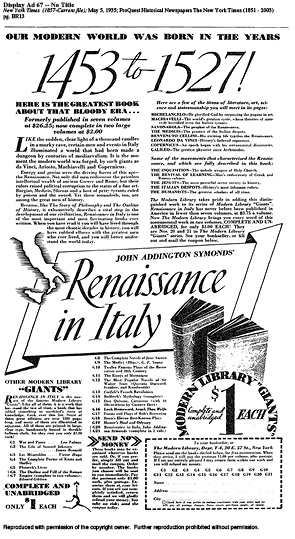 1934 - The Jan 21 ad is a great full-pager. 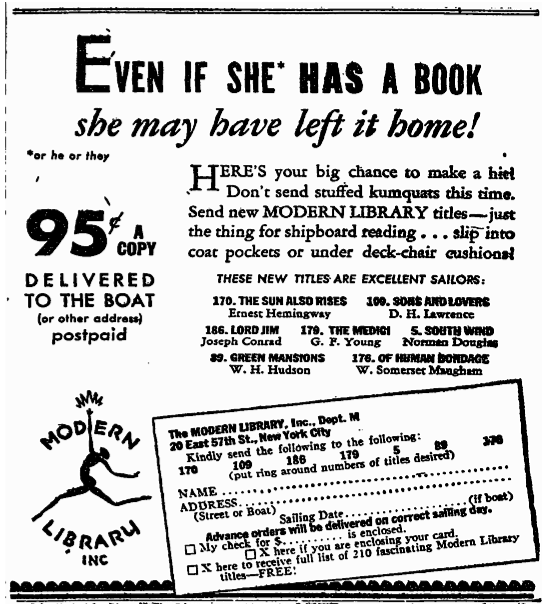 I also like the somewhat elitest theme of the August 5th ad. 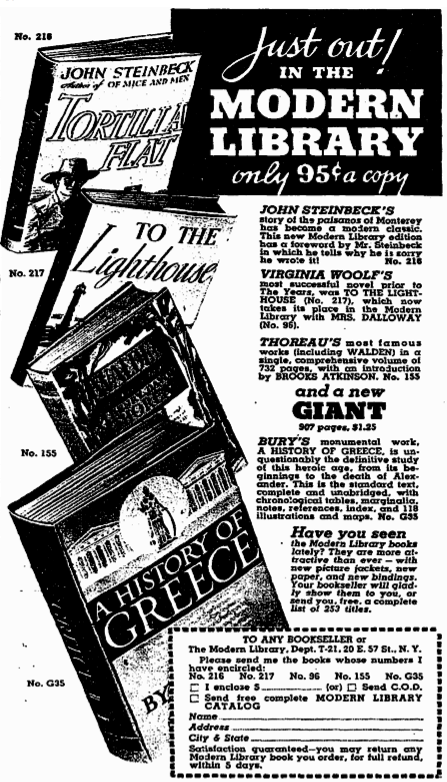 The Febrary & early March trio seem to follow a theme of "smallness" — small spaces, small budgets.